Other Special Requirements: The submission has to focus on the historical relationship between Asia and Australia. The Asia Education Foundation is proud to sponsor this special category in which students are encouraged to explore the development of Australia’s growing relations with the Asia. Investigate how People and Power have shaped relationships between Australia and Asia. How have people used power to change or develop relationships? What actions have led to successful relationships between Australia and Asia? Why have others been unsuccessful? Cultural, social and not-for-profit organisations. Both hard and soft: education, economic, diplomatic, cultural, political or military power. The winning submission will be published on the Asia Education Foundation website. Asialink (thought leadership)– want to interview a leading expert on Asia – Australia relations? Contact the Asia Education Foundation website. Asia Education Foundation (AEF) provides school leaders, teachers and students with the global perspectives and tools to amplify their intercultural skills and mindsets. 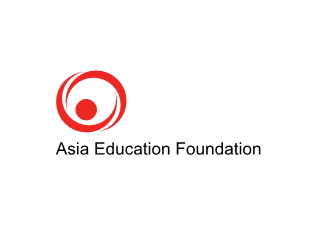 Since 1992, AEF has been an initiative of Asialink at The University of Melbourne and partners with the Australian Government, state and territory education jurisdictions, education professional associations, business and philanthropic supporters.